Subaru announced they will unveil two new electrified models at the Geneva International Motor Show. See what they have planned for the future. Europe is where Subaru Corp will unveil two new all-wheel-drive electrified models to show the world what they have planned for the future. Subaru has already launched a new 2019 Forester e-Boxer hybrid in the Japan market and also a new Subaru Crosstrek e-Boxer Advance Hybrid model. Subaru Europe confirmed the two new electrified models will be unveiled to the public at the 89th Geneva International Motor Show that runs from March 7-17. According to the press release, Subaru will use the “e-Boxer” badge on both new models like the Japan-spec Forester and Crosstrek e-Boxer models. The new launches will be the Japanese automaker’s first electrified cars in the European market and will most lily be two current models in their all-wheel-drive lineup. We speculate it could be a Levorg sports tourer, (not sold in the U.S.) e-Boxer hybrid or a popular Forester small SUV. These are popular models in Europe and it would give the brand traction into the electric car market. We can get an idea of what Subaru has planned for the future by looking at the Forester and Crosstrek e-Boxer Hybrid vehicles. They both come powered with Subaru’s 2.0-liter direct injection naturally aspirated Boxer engine couple with new electric motor technology. They use the newly developed 2.0-liter direct injection engine coupled with an AC synchronous electric motor. It uses a lithium-ion battery. Subaru Corp announced the Japan-spec Forester 2.0-liter engine produces 145 PS (143hp) and 188 Nm (139 lb-ft) of torque. The AC synchronous motor produces 13.6 PS (13.4 hp) and 65 Nm (48 lb-ft) of torque. Total engine plus electric output is 187 lb-ft of torque. The system is mated to Subaru’s full-time all-wheel-drive system and Lineartronic CVT automatic transmission. Subaru has not released fuel mileage estimates but says it will have increased efficiency, improved fuel mileage, and better performance over the standard models. 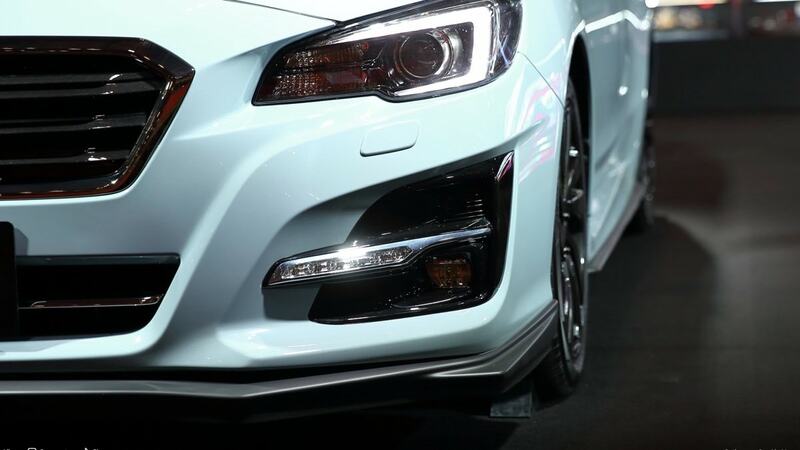 The Japanese automaker will also display the latest iteration of the Levorg featuring a redesigned front hood and newly equipped with a 2.0-liter Boxer engine. Subaru Corp will unveil the two new European-spec e-Boxer all-wheel-drive models at the Geneva Motor Show press event on March 5, 2019. We are speculating it will be a new 2020 Forester SUV and the other could be the Levorg compact hatch for Europe. Stay tuned.